The World Cup Final in Bangkok was “A great competition!” The ISSF Technical Delegate Grill said today, closing the event. With eight medals, China finished atop of the medal standings. The 10m Air Rifle Men event won by China’s 2004 Olympic Champ Zhu Qinan closed the 2012 ISSF Rifle and Pistol World Cup Final, held in Bangkok from the 22nd trough the 27th of October. 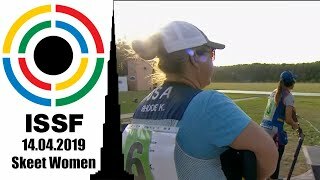 The last event of the year, which saw the best 90 shooters of the world competing in the ten Olympic events of Rifle and Pistol shooting, turned into a success, as stated by participants, organizers and authorities. 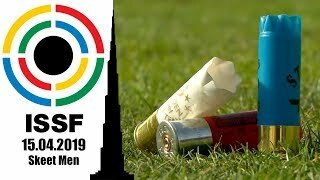 Only the top performers were invited to participate: the 2012 Olympic Champions and medallists, the title defenders, and the best shooters selected throughout this year’s ISSF World Cup Stages in London, Milan and Munich. “This ISSF World Cup Final has been a great competition. Our champions played great finals, and the local organizers, the National Shooting Sport Association of Thailand, delivered a great event.” The ISSF Technical Delegate for this event, Mr. Grill of Germany, said. “We would like to thank the ISSF for entrusting us. We hope you will be back again, for more competitions, here in Thailand.” The Secretary General of the National Shooting Sport Association of Thailand, Dr. Auchai Kanjanapitak said at the closing ceremony. 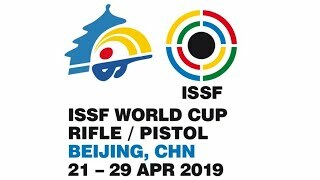 It was the People’s Republic of China, the nation that finished atop of the medal standings of this year’s ISSF Rifle & Pistol World Cup Final. With a total of eight medals, including two Gold, two Silver and four Bronze medals, the Chinese shooters beat the Czech Republic, second with two Gold medals, and Germany, third with one Gold and two Silver medals.